One of my favorite drinks to grab in the Fall is a hot chai (or if I really need one a "Dirty Chai" which includes a shot of espresso). After seeing how easy it was for Essie Button to whip one up at home via one of her latest YouTube videos I decided to try my hand at one myself. A lot of the ingredients I had at home already and the few that I didn't have were easy enough to grab in small quantities at Whole Foods. First I boiled two cups of water and all the spices together on the stove. After they boiled for a good few minutes I took them off and let them sit aside. I then added two tea bags to my mug and poured the water/spice mixture over the tea bags. I let them steep for a few minutes and then added frothed almond milk. Super simple! 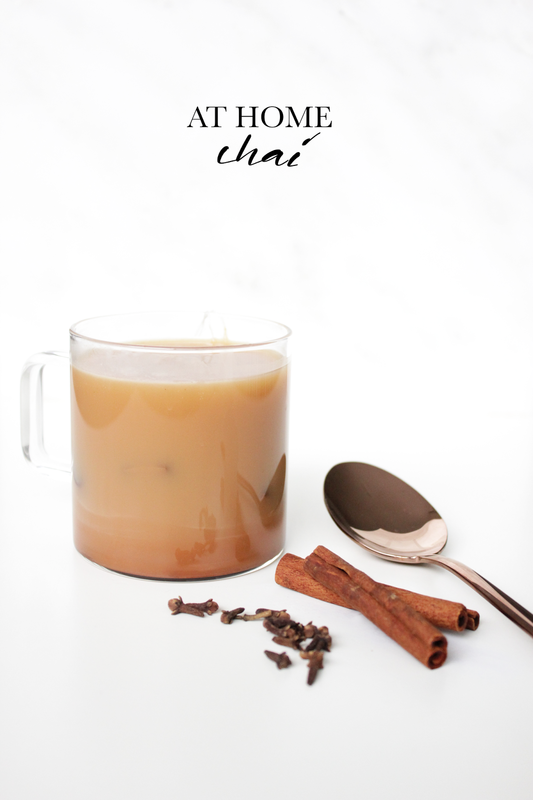 Have you made Chai at home before? What other Fall themed recipes do you love to make? Yay, let me know how it went!! Mmm so perfect for fall!